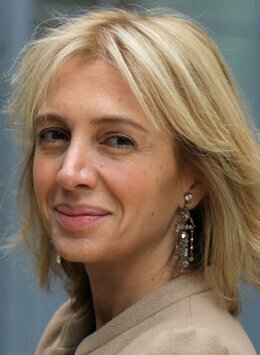 Sahar Hashemi OBE is one of UK’s most inspirational female entrepreneurs. Recognised as powerful speaker on innovation and entrepreneurial mindset, Sahar shares with the audience captivating personal stories of building two famous brands; Coffee Republic and Skinny Candy. Coffee Republic – The UK’s first coffee bar chain, which she and her brother grew to 110 stores and £30m turnover and exited in 2001. Skinny Candy – The guilt free confectionery brand which she sold to Glisten Plc in 2007. Named a Young Global Leader by the World Economic Forum in Davos. Named a ‘Pioneer to the Life of the Nation’ by her Majesty The Queen. Named as One of the 35 Top Women in British Business by Management Today. Nominated by Director magazine as one of its Top 10 Original Thinkers. Awarded an OBE for services to the UK Economy and to Charity. In a Shell Livewire survey of role models, Hashemi was among the top 5 along with James Dyson and Dame Anita Roddick. Sahar Hashemi is also a best-selling author. Her first book ‘Anyone Can Do It – Building Coffee Republic from our Kitchen Table’ has been translated into 6 languages. Her second book ‘Switched On‘ published in May 2010 is about developing the entrepreneurial mindset in large corporations. It hits the right note with many organisations who in recent years, having been through great change, want their employees to think differently, more proactively and much more creatively. ‘Switched On’ covers 8 practical habits, for example getting into your customers shoes, getting out of the office and taking 100% of yourself to work. Sahar also has an ‘Ask Sahar’ column in Director magazine where readers every month ask her questions about innovation, customer service and the entrepreneurial mindset in the workplace. In 2012 Sahar was awarded an OBE for services to the UK Economy and to Charity. An internationally recognized speaker, Sahar Hashemi’s captivating and uplifting speeches are unique as she converges her own enthralling ‘story’ with key themes of change management and employee engagement. By telling her very personal journey, she connects with the audience on an emotional level and brings to life the passion, determination and open mindedness needed to succeed. Sahar makes a strong impact, igniting the audience with a ‘can do’ spirit and the tools and habits to ‘make it happen’. Entrepreneurial Mindset in Your Organisation. “everyone in the room understood and took away the message that we are all responsible for the success of our business and that applying a more entrepreneurial approach will pay dividends not only in terms of revenue and profit but also the enjoyment that individuals gain from their work”.